On 1st January 2012, we were devastated to hear of the sad passing of one of our young swimmers, Mary Collard. Mary was only 11 years old and had been bravely fighting bone cancer. Mary was an inspiration to everyone whose life she touched, particularly those who watched her fight this destructive illness with incredible positivity and at such a young age. She was a very talented swimmer, a skillful golfer and a keen footballer. She was also an enthusiastic actor and writer. And whatever she put her heart into, she was always at the centre of the action, always smiling and always surrounded by friends and family. 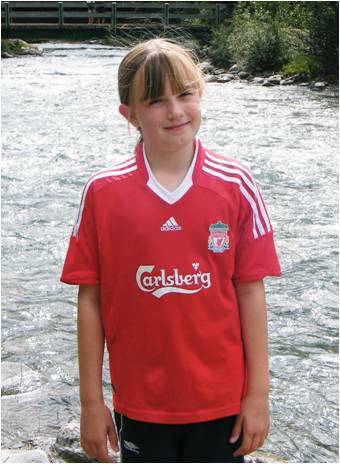 At Mary’s funeral, the congregation was asked to wear red in celebration of Mary’s love for Liverpool Football Club. It was an emotional sight. As a club, we felt that this would be the perfect way to remember Mary and show our support for the charity that was so important in helping Mary and her family. At our 10th Easter Open Meet in 2012, we witnessed an unbelievably moving sight as the entire swimming family joined together to “Wear Red for Mary”, to celebrate the life of Mary who lost her incredibly brave battle with bone cancer on New Year’s Day 2012, at the age of just 11. Through donations and the sale of donated red Krispy Kreme doughnuts, the magnificent sum of £500 was raised. Thank you so much to everyone who wore red and donated last year. At our 2012 club championships, programmes were sold in aid of Bone Cancer Research Trust, raising another £237 for Mary’s charity. To date, various events across the town (including ours) have raised over £40,000 for the charity. Please see this Weston, Worle & Somerset Mercury article published 18 December 2013 regarding the success of fund raising in memory of Mary. In 2013 we donated all the proceeds of our Easter Meet Sunday raffle to the Bone Cancer Research Trust. Sue is also running the London Marathon this year with two friends, her first ever marathon, dressed as Spongebob (Mary’s favourite cartoon). For more information about the disease and the trust visit The Bone Cancer Research Trust web site. Thank you so much again for last year and for reading this page, thereby increasing awareness of bone cancer. If you feel led to buy a raffle ticket or support Sue, please do, your contribution will help to fight this disease. A tribute to Dave Brunsdon who recently lost his battle with cancer. The water at WSMSC lies still with the passing of one of our own. Dave, you taught us so much, never dwelling on self but always thinking of others, showing genuine interest and extraordinary support to all. Your fun, friendship and fellowship, we shall miss, but never forget. You touched everyone. Lane 4 is for the best - we dedicate it to you. Richard Brunsdon completed the London Marathon on 24 April 2016 to raise money for Macmillan Cancer support in celebration of his Dad. All of Richard's family saw first hand how Macmillan can help people with Cancer and he would like to raise as much as possibe as a thank you for the help they have given him over the last year or so. We now have a new post box for all swimming club forms and letters. All swimming meet entry forms should now be posted through our post box which is located underneath the trophy cabinet at Hutton Moor. If your child has just started on their swimming journey then congratulations on becoming a “swim parent”. If, like me, your child is working their way up the squad lists and is a swimming obsessive then commiserations… you’re a “swim parent”. If sitting through 15 heats of Girls 400m freestyle in sauna-like conditions and developing a severe case of “Bench Bum” you start to think that there must be a better way to pass the time, there is… volunteer. The thought of volunteering is usually met with an audible groan and avoidance of eye contact with the Club Organiser, however, maybe you didn’t know that for all swimming competitions the Club is expected to provide or have, team managers, marshals and officials. Without these volunteers, your child wouldn’t be able to compete. I, with a handful of other parents last year, “volunteered” to start training as a swimming official. Dressed gloriously all in white (not my best look), swimming officials are the studious-looking people seen standing around the side of the pool sporting stopwatches and clipboards. My only tip, if you do decide this maybe something you’re interested in, is to buy white underwear! As a beginner, I’m at the Judge Level 1 Candidate level. We had two classroom sessions with Pete Gonsalves to begin with before being presented with our Workbooks. The next objective is to be mentored through the various roles a Judge Level 1 needs to achieve. These include Time Keeper, Chief Time Keeper, Inspector of Turns, Chief Inspector of Turns and Relay Take-off Judging. There is no formal examination with this qualification, but you will have to satisfactorily answer questions in the course workbook and are asked questions whilst you are completing your practical. It can be pressured at times. A 50 metre freestyle race can be over in under 30 seconds, in which time you have to check the dive, that they haven’t gone more than 15 metres underwater, ensure you have the correct swimmer for the next race, be in position to view the touch finish, stop the automatic timing back up button and stopwatch at the same time, note the time, hand the slip to the Chief Timekeeper and be in position for the start of the next race. However, the upside is the sessions do fly by and you do feel involved. Even more than marching out to cheesy music, the worst part of the role is disqualifications. As a parent I know how heart breaking they can be especially for younger swimmers. None of us want to disqualify anyone. We always give the benefit of doubt to the swimmer and only report any discrepancies to the Referee if absolutely 100% sure. Sat in the crowd it can be a mystery as to why a swimmer has been DQd, I certainly didn’t know all the rules before I started this role. It has definitely given me a greater insight into swimming - another reason to get involved! You do get looked after as an Official. You can receive travel expenses, are provided with drinks and sweets throughout the racing and get provided lunch. Maybe this Officiating isn’t for you. However, there are plenty of alternatives to help if you want to take part. Go on, get involved. WSMSC now offers the opportunity for parents of our swimmers, to acknowledge their achievements by purchasing badges and certificates for times swum at competitions and events. For further information, please see this parents letter. The award times are available here. Ordering of awards is coordinated by Helen Finch. Orders can be placed any Tuesday, by handing in the order form along with payment to Jon and Leanne at the club shop. One small measure to help meet the escalating cost of funding team manager/coach passes/expenses at galas is the introduction of a levy of £1 per swimmer per gala entered. This is per gala and NOT per event, so if you enter four events at a gala you will pay £1 as will someone who enters six events at that gala. This does not apply to galas that we run. 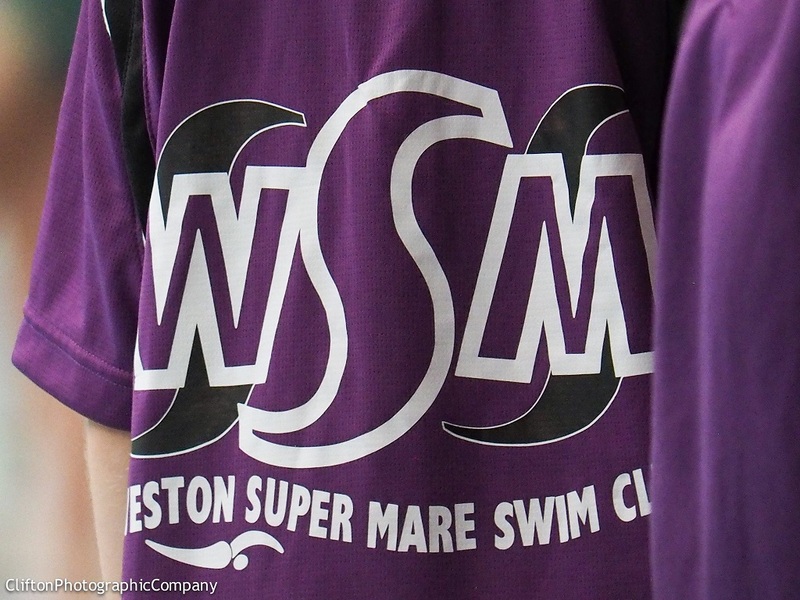 Where the club supports a gala and entries are invited from WSMSC swimmers, cheques should be made out to "WSMSC" please and not to the club hosting the gala. It is the norm that cheques are only banked either once full acceptance has been received that we have got our swimmers into the meet or at the time of the meet itself. We don't bank cheques at the time you submit your entry in case of rejections/scratches. Please check the squad training times to make sure that swimmers are attending pre-pool. Being able to get in certain positions and fire given muscle groups on land, is a pre-cursor to performing the necessary skills in the water, which will allow continued improvement. Some swimmers have already been spotted as future “pre-pool experts"
Swimmers are grouped largely due to LTAD and their biological, physical and mental age/maturity. The movement criteria acts as a guideline to help parents to understand what the coaches are looking for. Movement is not based on race times and does not make one swimmer ‘better’ than another. We work very hard to give every athlete the training that THEY need to help them to continue improving. Moving squads before a swimmer is ready, can be far more detrimental than moving too late. A race suit is designed to improve swimming performance. In a swimmer’s early years of racing, improvements come from mastering race skills and growing. Due to the nature of the sport, swimmers are constantly chasing that next ‘golden carrot’ time and a race suit is a short cut in their developmental journey. If a swimmer NEEDS a race suit to achieve a certain time, they are not yet ready to compete at that level and need to develop the necessary skills to help them to progress. Race suits can mask poor skills. The best young swimmers can race in training suits and know that they have another level for the meets that matter. There are no short cuts to success - it takes 10 years or 10,000 hrs of training. Early short cuts will lead to plateaus later, which are really tough (psychologically) to overcome. How do I find my child's time for a gala? Licensed meet times can be found by looking at the ASA's database of times for each swimmer, known as their 'biog', or biography. ASA biographies can be accessed by inserting your child’s ASA number into the search box on https://www.swimmingresults.org/biogs/, or by putting your surname into the search box, then scrolling down and clicking on them from the results generated by surname. Not all meets are licensed so a broader range of times actually swum (second, third and final leg split times of relays can NEVER be used to enter individual events) can be found on the club PB (Personal Best) list, which can be found in the members section of the website and on the board at Hutton Moor. The ASA's National Swim21 panel has approved our submission for Swim21. Swim21 is the ASA's 'kite mark' of good practice and the committee, lead very much by Steve Soper, has been working towards this for the past 18 months. This award will enable the club to obtain bursaries more easily towards courses for volunteers, teachers and coaches and also means our older swimmers can participate in the ASA South West Region's young volunteer programme. We send out email updates/bulletins to everyone for which we have an email address. If you are not receiving the emails and would like to do so, please send an email to the Membership Secretary who will add your address to the list. Phase 1 of the online magazine for ASA Category 2 members aged 9-15 is now live, offering a news feed, interviews, competitions and more. For details and how to sign up, please see this notice from the ASA (PDF). The PB List policy can be viewed here. The clubs coaches may wish to video swimmers to help them improve their stroke technique, turns and starts. Video analysis is being used by more and more clubs as an aid to coaching and teaching as it allows the swimmer to see exactly what they are doing correctly and incorrectly. If you would rather that your child is not videoed or if you have any queries on this please contact the club chairman. The opportunities that this presents for the club are massive - so long as we all buy into it (metaphorically speaking, as it doesn't cost a penny). Please join and then get searching! Thank you. MA.